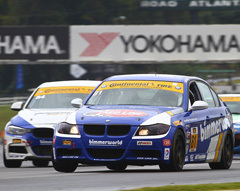 The BMW aftermarket and tuning experts at BimmerWorld have built a reputation as one of the finest racing teams in the Continental Tire Series paddock, and with another top-5 finish in the Championship, the Virginia-based squad has maintained its presence among the sport’s elite programs. The season finale last weekend at Road Atlanta didn’t deliver the win BimmerWorld sought, and with victory as the only goal team owner/driver James Clay and his team strive for, it was clear he wanted more than two of his four cars placing inside the top-10. Drivers Greg Liefooghe and Tyler Cooke took eighth in the Street Tuner class at Road Atlanta in the No. 81 BimmerWorld BMW 328i (E90 chassis), followed by Clay and Jason Briedis in the No. 84 BimmerWorld BMW 328i (F30 chassis) in ninth. The Liefooghe/Cooke combo led the Championship during the middle portion of the season and fought hard to finish fifth after a wave of pint-sized cars were advantaged with Balance of Performance changes. Other than another run to a Championship top-5, possibly the most impressive aspect of BimmerWorld’s year came with the development and progress of the turbocharged F30 BMW platform. Built for racing purposes by Clay’s team, the No. 84 F30 showed incredible pace and promise in the ST class, making the ninth-place at Road Atlanta another point of confirmation the brand-new car has a bright future in the series. Liefooghe has solidified his place as one of the fastest and most consistent drivers in the series. He’s not the kind of person to find happiness in consolation prizes, but says he can put 2014 behind him knowing he and his teammate got everything out of the No. 81 E90. Eric Zimmermann: Road Atlanta, being my home track, is a very comfortable place for me. Getting up to speed at the track came quickly thanks to that familiarity and the input of the other BimmerWorld drivers. I’d hoped to qualify a little bit higher, but I believe there were only two BMWs (both BimmerWorld teammates) in front of me, so I was generally pleased with where I was on the grid. The rain held off, the race went smoothly, and I was able to move forward numerous spots within the field during my stint. It was a bittersweet day for certain and it was tough pulling all of my gear out of the trailer knowing that the season had come to a close. Tyler Cooke: The race in the No. 80 car didn’t go exactly how we wanted it to but it was no fault of anyone, just how the race played out. Eric did a great job moving forward into the top ten. We found something both with the 80 and 81 that made the cars fast and consistent. Yellows didn’t fall how we wanted them to but still got to show the potential of the car and looking forward to a new season. Tyler Cooke: The start of the race in the 81 was mayhem to say the least. Having some corners dry and having some very damp made for some great racing. BimmerWorld always has a great race car and that showed with the 81 moving up to seventh before handing it to Greg where Greg did a great job getting the car as high as 4th. Cautions weren’t our friend both in the 80 or 81, but we fought hard and walked away with an eighth place. The team did a great job keeping us up front. Seth Thomas: Not the race Dan Rogers and I were looking for to end the season with in the BimmerWorld E90. Overall I think we worked hard to achieve success especially with a home field advantage but it didn’t work out that way. James Clay: The weather and temperature was all over the place this weekend. I had a solid car under me and used it to move forward during the race. We didn’t have the ultimate speed to win, but I was happy to see the forward progress. Jason Briedis: With the variable conditions, it was quite a fun race. Our car was good in the damp conditions, allowing me to pick up quite a few positions in the first half of the race. In the end, ninth was a decent result. The current Balance of Performance restrictions are preventing us from getting much more. Hopefully next year the playing field will be a little better balanced. 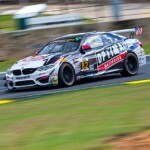 Potential was high for BimmerWorld at Circuit of The Americas, yet the results were less than anyone expected, and with very little time until the season finale gets under way, the Virginia-based BMW experts are now focused on maximizing their results next week at Road Atlanta. The 2.5-hour race at COTA saw four fast BimmerWorld BMWs, including three 328is built on the E90 platform and one turbocharged 328i F30, marching forward in dry conditions, but once the rain began to fall, any hopes of holding onto strong finishing positions were surrendered to the gripless racing surface. With few positives to herald after COTA, the standout performance from Continental Tire Series rookie Eric Zimmermann showed the BimmerWorld Driver Development product is growing at an in impressive rate. For Cooke, who was recently promoted to the role of the closing driver in the No. 80 while continuing to open in the No. 81 he shares with Greg Liefooghe, the ongoing education has helped one of the Continental Series stars to add to his proverbial toolbox. “I’ve been able to progress myself as an opener and a closer driver by learning how to better myself in both roles and learning the differences,” said Cooke who races for the full 2.5-hour race compared to most drivers who spend half that time in a car. “Being the opener in the No. 81 this year has further grown my knowledge by picking up different details from Greg. All totaled, BimmerWorld’s four-car fleet improved 34 positions last weekend during the 2.5-hour race Continental Tire Series race at Wisconsin’s Road America circuit. The 4.0-mile track rewarded the years of handling and braking optimization BimmerWorld has brought to its E90-based BMW 328is, and F30-based 328i, the brand-new turbocharged BMW BimmerWorld is developing this season, delivered once again in the Street Tuner class. Placing three of its cars inside the top-7 demonstrated BimmerWorld’s expertise while competing against smaller cars in the ST category that used their modest stature to carve through the air on Road America’s long straights. Finishes of fourth, sixth and seventh also represented stellar execution by the team’s drivers, pit crew, and race strategists, and left team owner/driver James Clay mostly satisfied with the outcome. BimmerWorld’s top performance went to the fourth-place No. 81 BMW 328i driven by Greg Liefooghe and Tyler Cooke. The duo is locked in a close battle for the 2014 Street Tuner Championship, and currently holds third in the standings. With three races left to run, Clay says the team will continue to push the No. 81 as far as it can go as the season draws to a close. For Liefooghe, the final races pose an interesting challenge as all three circuits favor the BimmerWorld BMW in some areas, but could provide an even greater advantage for the competition in other sections. Beyond circuit-based considerations, Liefooghe sees completing three clean races as another element that will influence the Championship outcome. 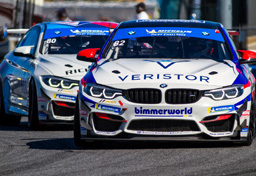 Road America featured the latest top-10 for BimmerWorld’s in-house developed F30 chassis, and at its current rate of progress, running towards the front of the ST class is becoming an expectation during a year of discovery with the car. Eric Zimmermann: The No. 80 drove great at Road America. It was my first time there, but was able to bring the car from 24th to 15th during my extended stint. Unfortunately, we had to make our driver change under green and fell a lap down. Tyler Cooke: My closing stint in the No. 80 unfortunately didn’t go as we hoped. I left the pits a lap down due to some issues. The team did a great job and the car had great pace. I was able to run with all the cars in the top five and ten. I’m looking forward to VIR with the momentum from both cars. Tyler Cooke: My opening stint in the No. 81 went very well. I was able to drive the car from 14 to 5th which was great and gave the car to Greg in a strong position. Greg drove the car to 4th which was a great job! Greg Liefooghe: I was lucky enough to have the No. 84 behind me throughout the stint to help me. Teamwork paid off. Dan Rogers: Overall, we were pleased with the results of the race for the No. 82. We saw improvement in qualifying from our earlier practice times, avoided the mess in Turn 5 of the first lap, and turned a good car over to Seth for the finish. Seth Thomas: Great race and result for Dan and I. The action throughout the race was intense. Every time I would get around one car I had to work hard to get another position. Overall the competition in the ST Class is some of the best sports car racing you can find. Jason Briedis: We were lucky to avoid the first lap accident as cars were wrecking in front and behind. After that I was just concentrating on maintaining track position and preserving the car so James would have something for the second half of the race. James Clay: Jason did a fantastic job of both qualifying the car and moving it forward during his stint. The green flag stop was well executed, and we got a little help with a yellow to bunch the field. I was more committed to helping the No. 81 this race, but we didn’t have the car to win it anyway. Another solid one in the books for us though, and I am excited to get to VIR for our next round to spray some champagne! One of BimmerWorld’s greatest achievements came in 2012 as the BMW aftermarket and tuning experts wrote their names in the history books as the first-ever winners of the Continental Tire Series Street Tuner class at the famed Indianapolis Motor Speedway. Fast forward to 2014 and with the series set to return to the legendary Brickyard this week to contest the latest Continental Series round, which combines portions of the oval and features a newly repaved and reconfigured infield road course that measures 2.4 miles. “Indy has been very good to us since its addition to the schedule with a win the inaugural year and a pair of cars that were close to a repeat the following year,” said team owner/driver James Clay. “But I am not sure how I feel about the track changes for this year — the addition of a tight chicane that interrupts the long sweeping banking takes away one of our strengths and plays to the current balance of performance strengths of the lightweight cars in the field. Also different from 2012, BimmerWorld heads to Indy with an expanded 4-car ST team. A significant change within the Virginia-based program has also taken place ahead of Indy as teenage ace Tyler Cooke, who serves as the opener in the No. 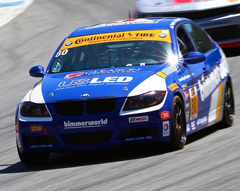 81 BimmerWorld BMW 328i he shares with Greg Liefooghe, has been promoted to the closing driver in the No. 80 BimmerWorld BMW 328i piloted by rookie Eric Zimmermann. Once he’s done in the No. 81, Cooke will climb into the No. 80 to complete his Ironman effort. Cooke and Zimmermann represent the best BimmerWorld has to offer its drivers as both pilots have used the extensive coaching and training supplied within the program to accelerate their respective learning curves. 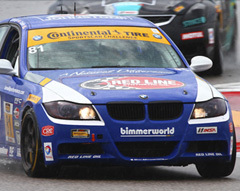 For the 19-year-old Cooke, being entrusted with driving two BimmerWorld entries and serving as the closer for the No. 80 is something Clay sees as the right move at the right time. Cooke is confident he’s prepared for the physical rigors and mental acuity required to complete an entire 2h30min race across two cars. For Zimmermann, who recently joined the team after working through BimmerWorld’s Driver Development Program, having a team veteran in Cooke to learn from—both on the track and in the engineering office—should accelerate his personal learning curve. UP NEXT: Practice for the Brickyard Sports Car Challenge begins on Thursday, July 24, with the race following on Friday, July 25. With little to show for BimmerWorld’s extra effort at IMSA’s most recent Continental Tire Series round held at the Watkins Glen International road course, the team is left to rue a fifth consecutive event where a rule imbalance has kept the BMW brand, teams campaigning BMWs and their various types of BMW chassis from getting near Victory Lane. 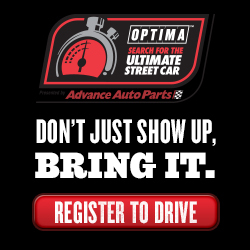 The Virginia-based BMW aftermarket and tuning experts have asserted themselves as regular contenders for the Street Tuner Championship, but have spent 2014 persevering through a season where brands other than BMW have enjoyed feature status. The last five races have seen Mazda’s MX-5 score three straight wins followed by the Honda Civic Si earning the last two, including Watkins Glen, leading BimmerWorld team owner/driver James Clay to bide his time until other ST brands receive some of the spotlight. Without the speed to win—at least until more meaningful rules adjustments are made, BimmerWorld has, as Clay noted, relied on overall consistency, supreme driving, and creative race strategy to minimize the damage. As unlikely as it may seem, the No. 81 BimmerWorld BMW 328i tandem of Greg Liefooghe and Tyler Cooke have used finishes of second, seventh, fifth, ninth, eighth, and 12th last weekend to earn the lead in the ST Drivers’ and Teams’ Championship. Their rivals–many who have scored multiple wins this year, have often traded a speed advantage for consistent results, but at the current rate, the No. 81 will be easily overtaken in the standings during the final six races of the year. Departing Watkins Glen, Clay embraced the two key positives that stood out last weekend, beginning with the rapid rise of BimmerWorld Development Driver Eric Zimmermann. Joining respected young pro Corey Fergus in the No. 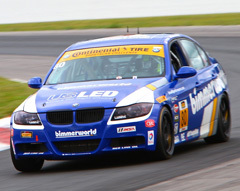 80 BimmerWorld BMW 328i at the previous round in Kansas, Zimmermann used all of his amateur training under the BimmerWorld banner to record an impressive drive at Watkins Glen, which marked only his second outing in a pro racing series. Using track experience gained as an amateur, Zimmermann combined his familiarity with Watkins and input from BimmerWorld’s season driver corps to find a competitive groove in the No. 80. Watkins also saw BimmerWorld’s new in-house developed turbocharged BMW F30 chassis post one of its most competitive runs. Compared to BimmerWorld’s highly developed, race-winning E90-based 328i platform, the F30 328i piloted by Clay and teammate Jason Briedis has only a half-season of on-track activity under its belt, making the No. 84’s rapid progress a welcome sign for BimmerWorld customers anticipating race-proven aftermarket components. A simple mechanical issue kept the No. 84 car from a better result in the end, but as Clay explains, each lessons learned in the Street Tuner class will benefit BimmerWorld’s clientele. With the first third of the 2014 Continental Tire Series Championship in the books, BimmerWorld heads into the middle third of the season this weekend at the Kansas Speedway “roval” with its sights set on something old and something new. Starting with the old, the Virginia-based BMW tuning and aftermarket experts have become perennial Championship contenders since joining the series in 2010, and with its driver pairing of Greg Liefooghe and Tyler Cooke currently sitting second in the standings with the No. 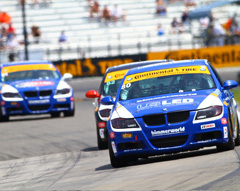 81 BimmerWorld BMW 328i, the team will look to the 2.3-mile circuit as another opportunity to strengthen their title bid. The No. 81 isn’t the only BMW from BimmerWorld’s four-car stable with a shot at a strong Championship finish as Seth Thomas in the No. 82 328i and Corey Fergus in the No. 80 are also within striking distance. For Fergus, Kansas will mark the first race with his new teammate Eric Zimmermann after contesting the first four rounds with series veteran Kevin Gleason. 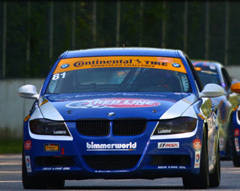 Zimmermann, a product of BimmerWorld’s Driver Development program, has been groomed through the amateur-to-pro system developed by team owner/driver James Clay. “BimmerWorld is different from many of our competitors in that we have a fairly expansive operation that includes developing and selling performance parts, building customer cars, and a coaching group to further develop driver talent – basically from the time you buy your BMW we can support your enthusiast goals through the pro ranks,” Clay explained. “I remember Eric from 2009 in the BMW Club Race School we sponsor—he was already eager to go racing! Through his progress, we have developed a relationship, and he has rapidly developed his program and abilities. For Zimmermann, jumping into the hotly-contested Continental Tire Series Street Tuner class will be far from easy, but he knows he’ll be surrounded with the best crew, engineers and teammate possible to ease the transition. “First, I am flattered and excited to be joining such a successful racing team as that of BimmerWorld and to be sharing a car with someone as talented as Corey,” said Zimmermann. “Joining mid-season is unusual, but James and I have been talking about my potentially joining the BimmerWorld team for a while now and getting to start this year rather than in 2015 is a fortuitous opportunity. My initial goal is simple; I want to help Corey continue to succeed and to help him be in a place where he can place the car at or near the front. With Fergus moving to the role of closing driver in the No. 80, he’ll have two new adjustments to process at Kansas, yet with his track record as one of the bright young stars in the series, he’s expected to flourish as a mentor to Zimmermann and to charge to the finish line with skill and aggression. Clay is also enthused over the potential within the revised line-up in the No. 80. UP NEXT: Practice for the Grand Prix of Kansas begins on Friday, June 6, with the race following on Saturday, June 7.